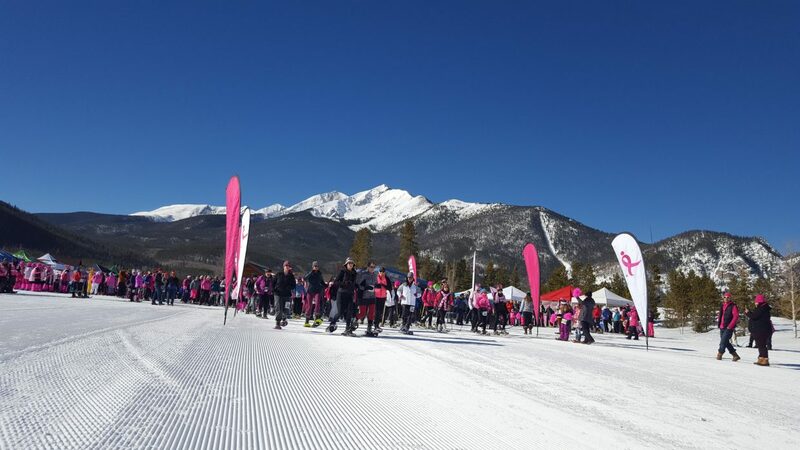 Runners take off for the start of the competitve 3k, the first adult race of the day. 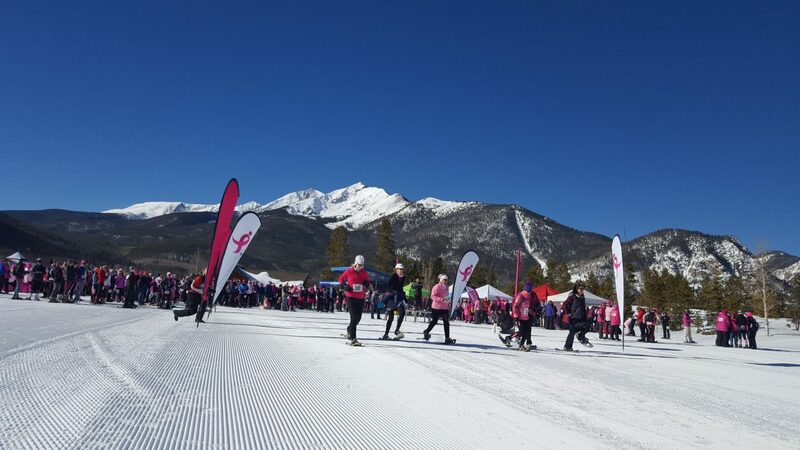 Snowshoers take off from the Frisco Nordic Center for the 5k race. 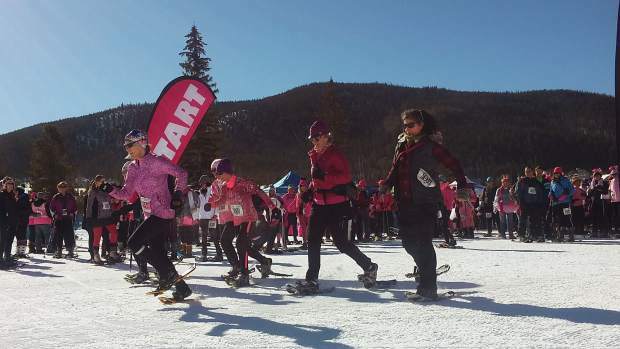 Some of the more than 900 participants in Snowshoe for the Cure jump for joy as they near the finish line Saturday at the Frisco Nordic Center. 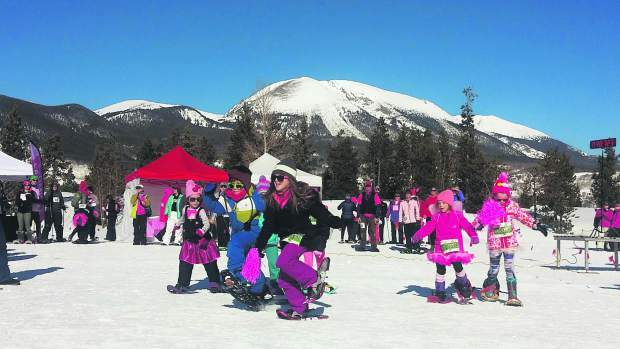 The event raised more than $90,000 in the fight against breast cancer. 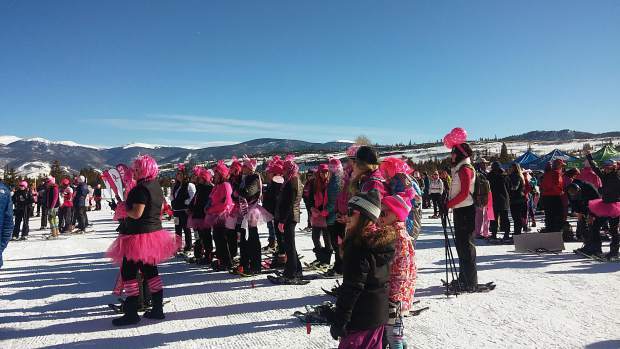 Before the races, snowshoers and supporters gather at the Frisco Nordic Center for the opening ceremonies. 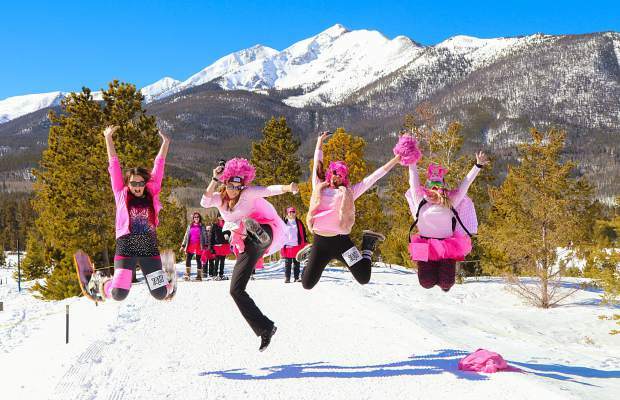 In all, 22 states were represented. 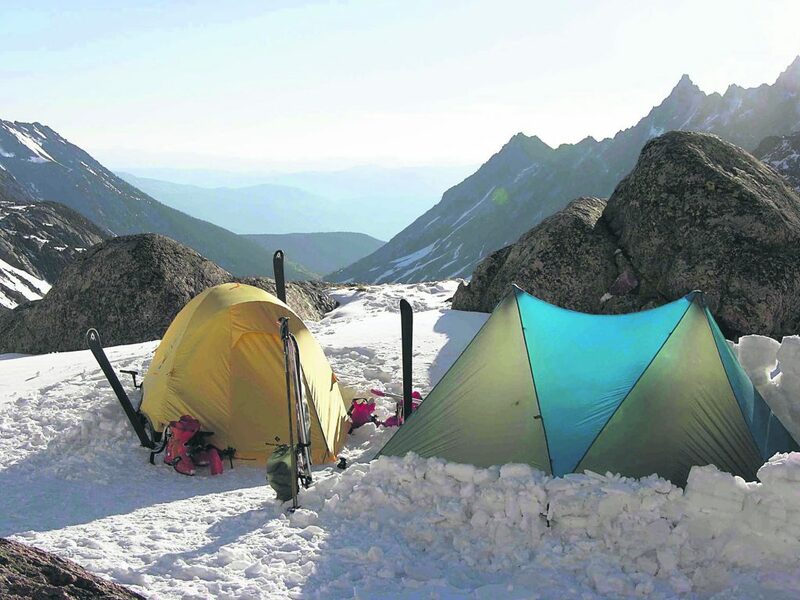 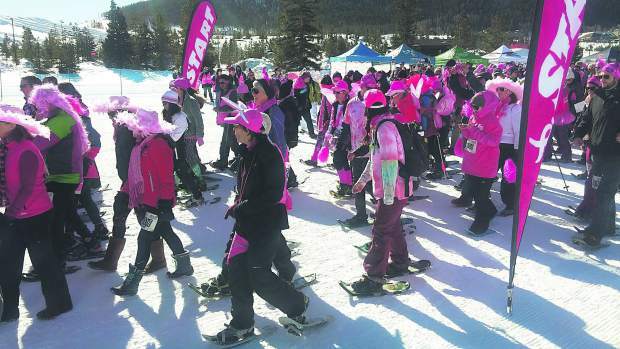 Snowshoers decked out in pink set off to raise money for breast cancer research. 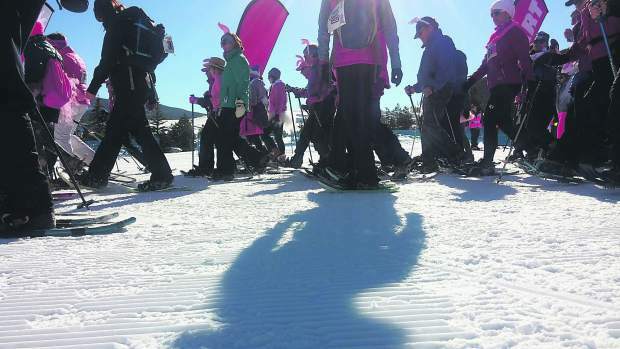 Snowshoers along the 5k route head out onto the trails. 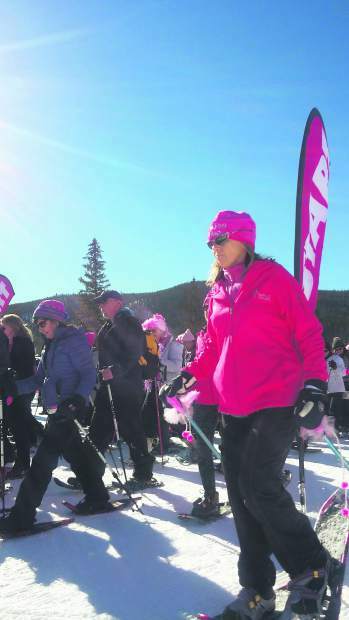 Snowshoers make first tracks in the groomed powder at the Frisco Nordic Center. 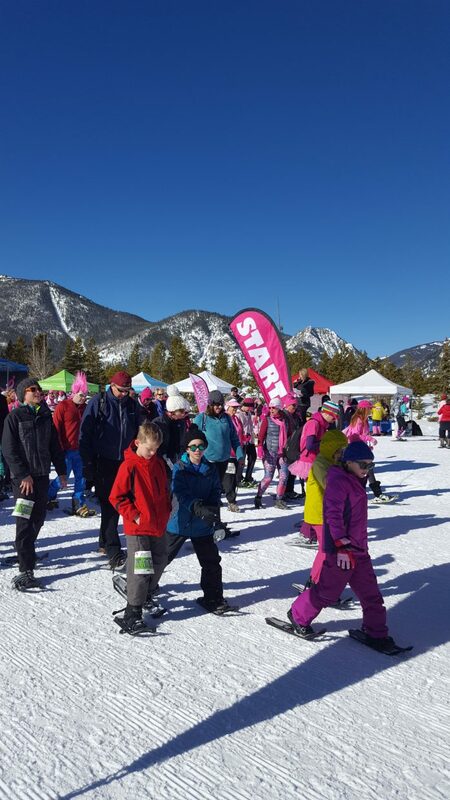 The Lil' Stompers leave the starting line for the kids snowshoe race. 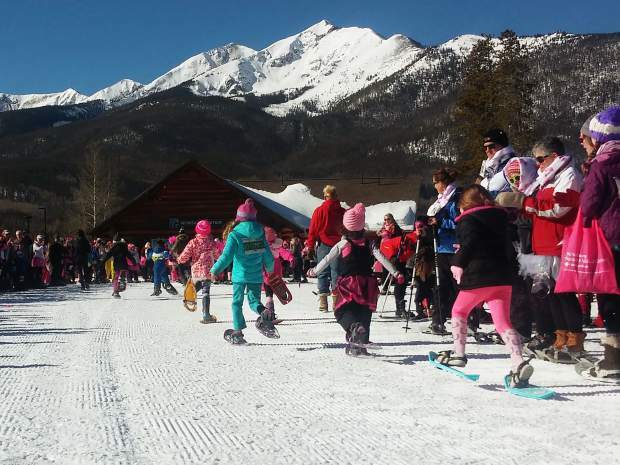 Lil' Stompers round the bend during the kids race at the Frisco Nordic Center. 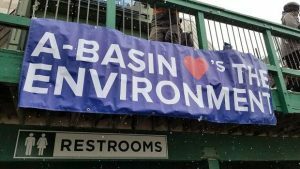 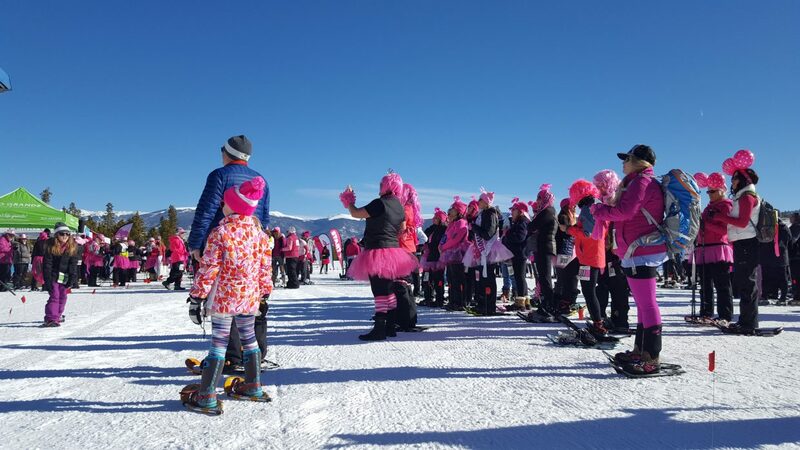 More than 900 people showed up, many in pink, some more than others, for Snowshoe for the Cure at Frisco’s Nordic Center on Friday and Saturday. 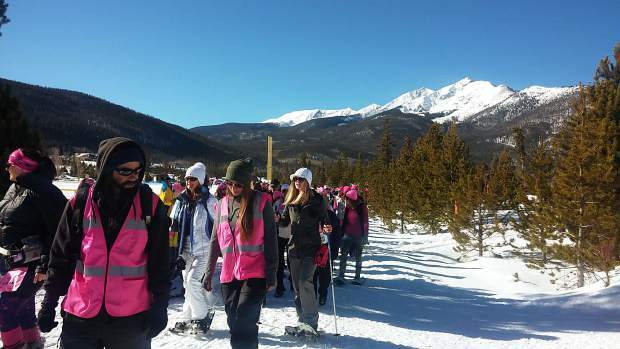 The winter-based walks came in the tradition of snowshoe fun and community spirit. 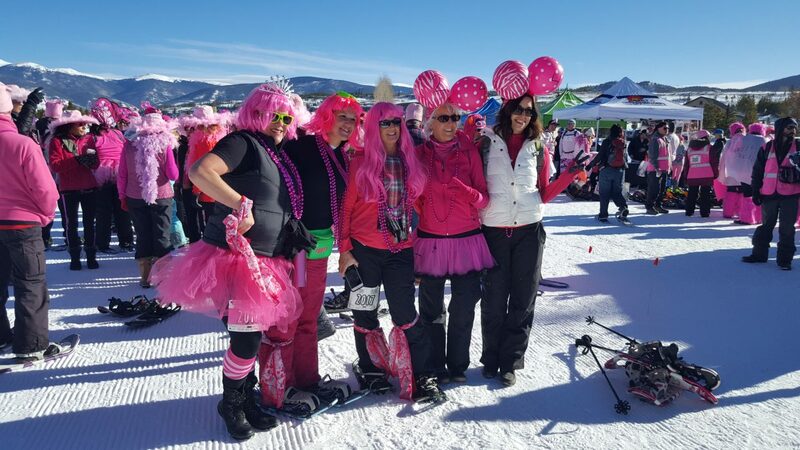 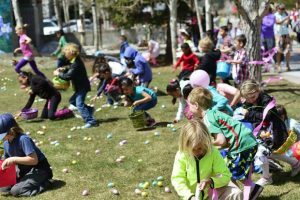 Altogether, it has raised over $1 million since its inception to fight breast cancer, with this weekend’s festivities generating more than $90,000 alone, according to organizers. 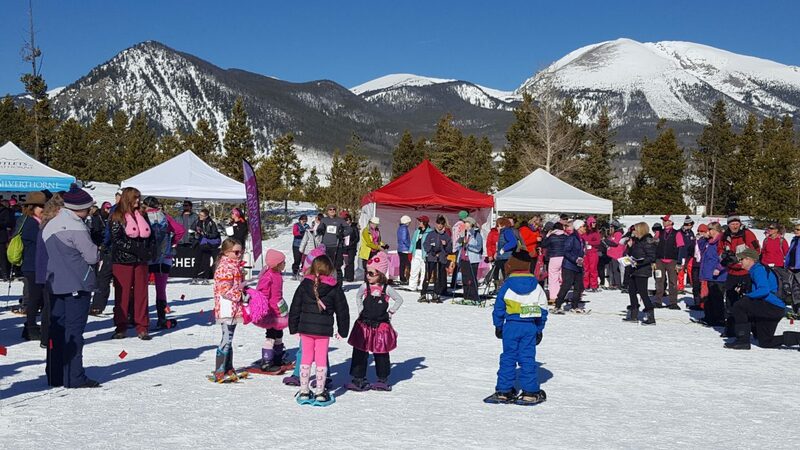 Susan G. Komen Colorado and the town of Frisco organized the family-friendly event that included Friday’s Pink Party with a 3k, a 5k and Lil’ Stomper Dash for children, all on Saturday.